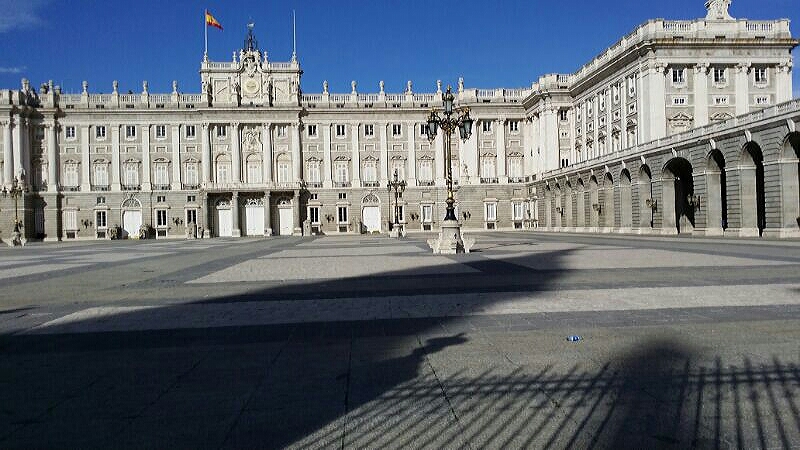 As you can guess, we planned the weekend around Madrid food & nightlife. We did manage to make it out for a few hours in the daylight and here are just a few great shots of Madrid. 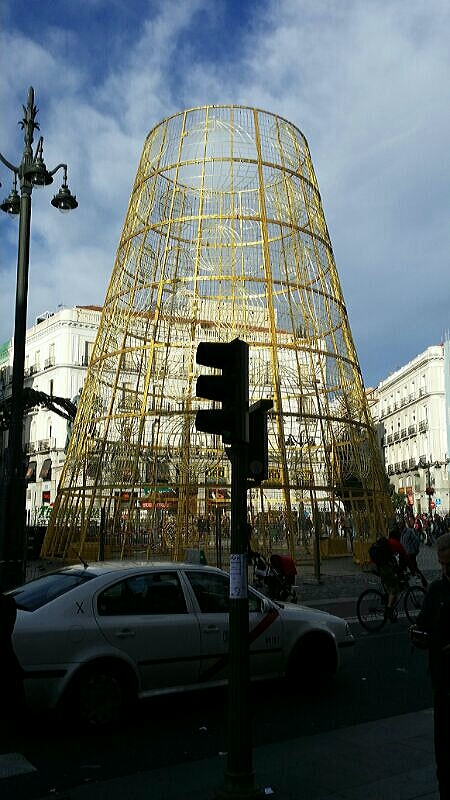 The Madrid Christmas tree will be in this spot! Interesting sculptures on the exterior of a random restaurant. And, now for the food. 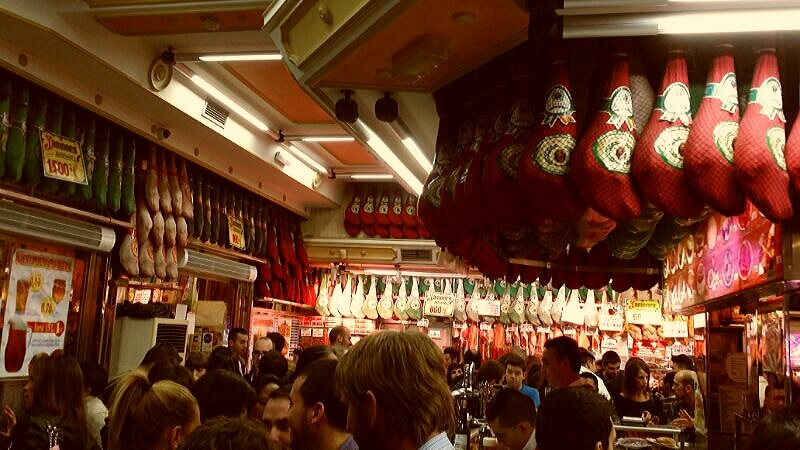 One of our first stops in Madrid was Museo del Jamon which literally means the Museum of Ham. 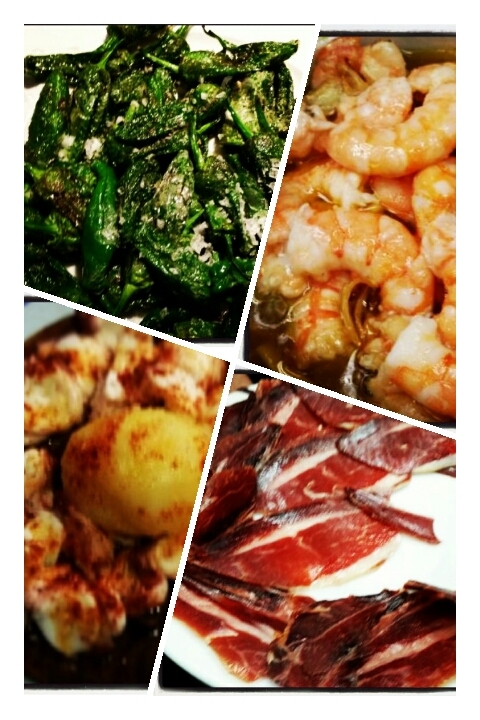 Yes, we had lots of top grade Iberica Jamon, regular Jamon in croissants and ‘Gambas’ – prawns sautéed in garlic and butter. 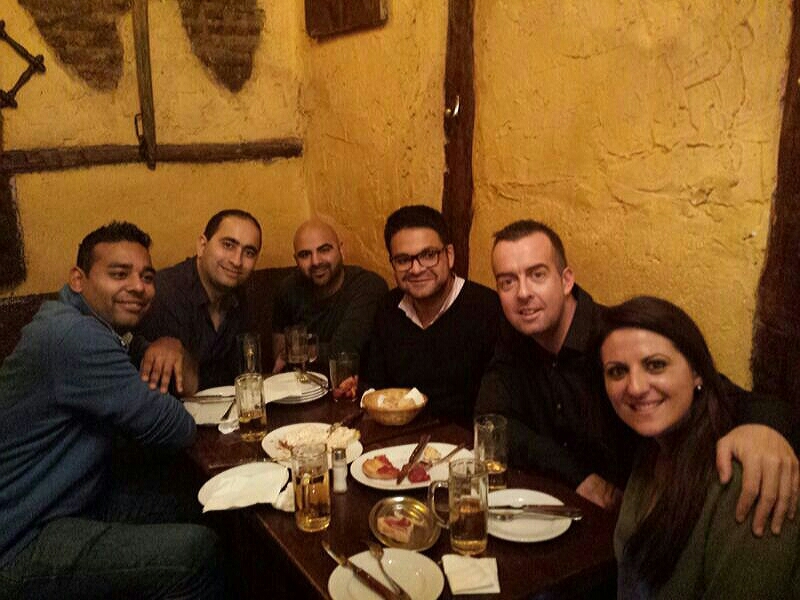 Next stop was a Tapas bar called Taberna Malaspina in Puerta del Sol right in the centre of Madrid. We ordered the usual tapas accompanied by lots of wine and beer. The restaurant was crowded and the staff were frantically trying to keep up the superb service. At one point, I remember looking around and observing several large groups of friends laughing & drinking as well as romantic couples sharing tapas and enjoying the ambience. It felt like it was 9pm and everyone was just getting ready for a night out…I looked at my watch… IT WAS 2AM – we were definitely on Spanish time! 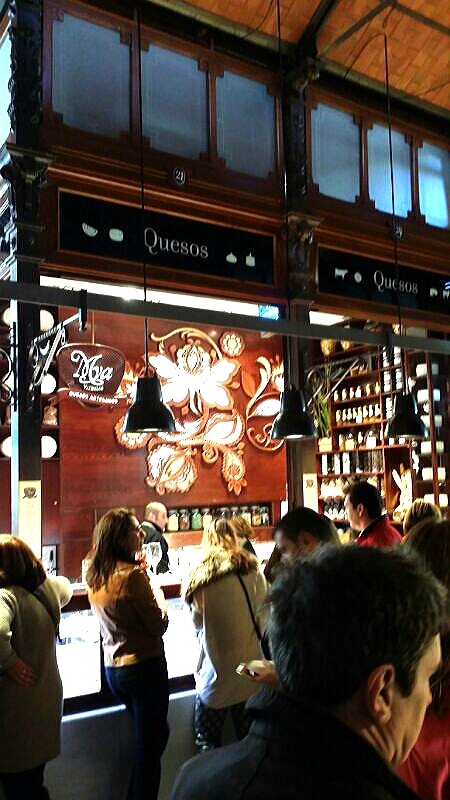 Yet another memorable experience in Madrid was the Mercado de San Miguel. This was a food lovers paradise. 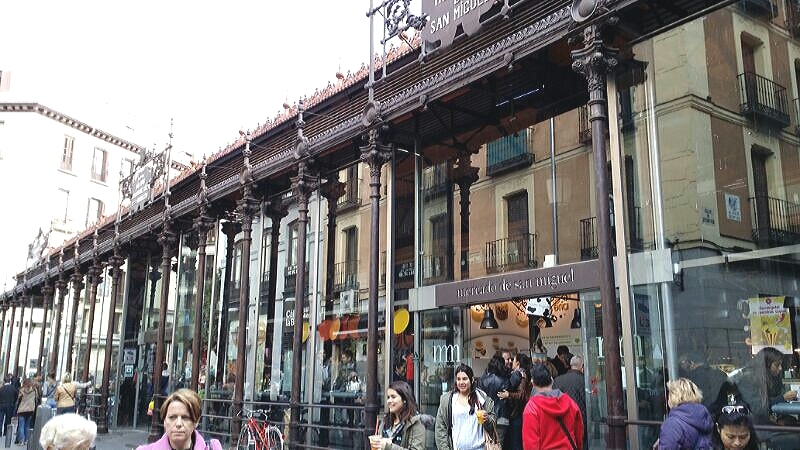 For those familiar with London, Mercado San Miguel would be equal to a posh Borough Market that ONLY sells Tapas. 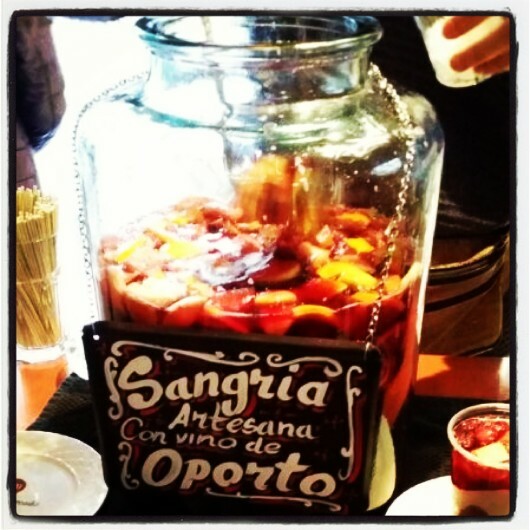 There were beautiful Spanish desserts, Queso, Chorizo, Sangria, Croquettas, a sea food Tapas bar famous for its ‘pulpo’ (octopus) and ‘padron peppers’. Those who know Mr. A will have no doubt that a trip to any city ALWAYS means an insane night out at THE party place in town. 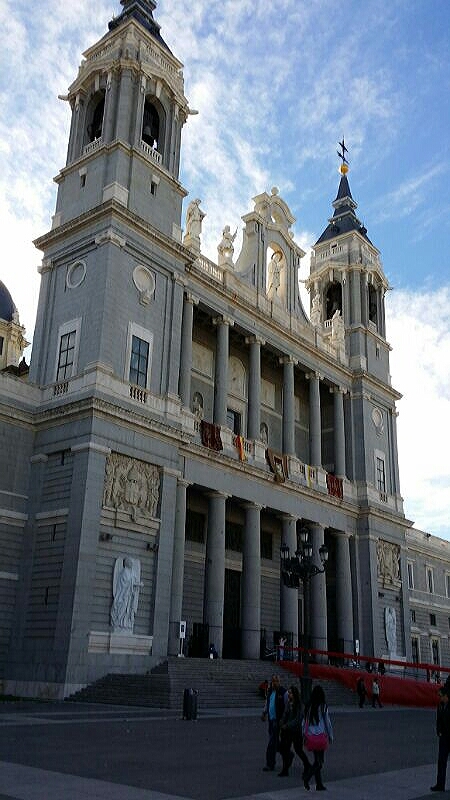 In Madrid it was Teatro Kapital – which we found out later is rated the 10th best club in the world. Seven floors of pure madness or as some would say…paradise! No photos of Teatro but lots of videos to keep the music alive in our minds forever! It has been five days since our return to London and we still can’t stop talking about Teatro Kapital. 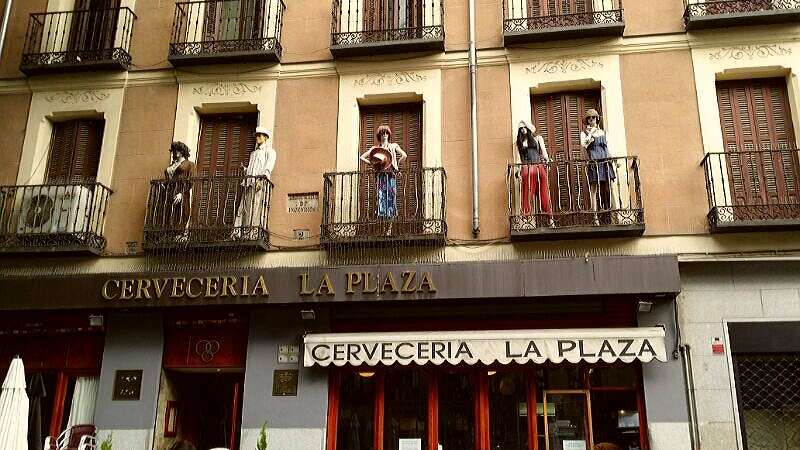 I can’t help but think how warm and friendly the locals were during our brief stay in Madrid. Helpful to tourists, proud of their city and always smiling. With plenty of sunshine, great food, amazing wine, afternoon siestas and a crazy nightlife…who wouldn’t be smiling? Excellent post Rahul! The way you described Madrid + the food + nightlife there is making me want to go there some day. I haven’t been to Madrid in ages. But I have been to other parts of Spain like Barcelona + Valencia. The food + nightlife in Spain is first class to say the least. And omg the food looks yummyyyyyy!